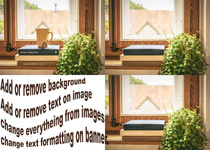 Hello, I am Sunil S. I am working as a Graphic Designer & Photoshop Editor, Copy Editor & Proof Reader, also creating awesome PowerPoint Presentation. 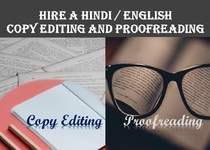 I can convert all...Read moreHello, I am Sunil S. I am working as a Graphic Designer & Photoshop Editor, Copy Editor & Proof Reader, also creating awesome PowerPoint Presentation. I can convert all photo documents in any format for printing. 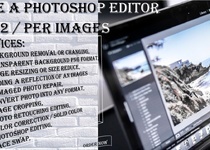 •	Edit Text of PDF, Scanned Documents in Photoshop and convert file into Photoshop PDF ready to print format. 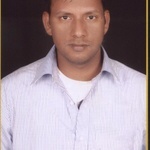 I am a native speaker of Hindi, Marathi and English (Indian accent) languages. I specialize in proofreading text, book editing and copy editing for blogs, magazines and websites. I'm passionate about words, and I have past experienced in copy editing and proof-reading when I was working for Management as an Executive Secretary. Having now spent many years working in the corporate industry, I am very experienced in copy editing and proofreading documents. I can produce high-quality, engaging content for a diverse range of companies, topics and audiences. I can create a modern and professional presentation templates design for your Company /Brand /Business /Corporate /Educational & other projects. With a collective experience of 5+ years in modern PowerPoint designs. If required, will deliver the files via Email. Will be delivered within 24 hours and often the same day. I may assure you that I shall try my best to come up to your standard.